If you click the link above and purchase this book, I will make a small commission off your purchase. If you’ve been trading stocks for at least a few months, you’ve probably experienced a drawdown that made you feel very uncomfortable and/or mad. A drawdown is simply the difference between the highest value of your account to the lowest value. I’m assuming that you’ve never lost all your money and then some, but if you did, you will be able to relate to the author. He lost over a million dollars trading in the 1970s which is equivalent to over 6.5 million dollars today. His extremely entertaining story focuses on preserving capital, and staying humble at all times. The lessons he learned through his trading career can also be applied to real life! 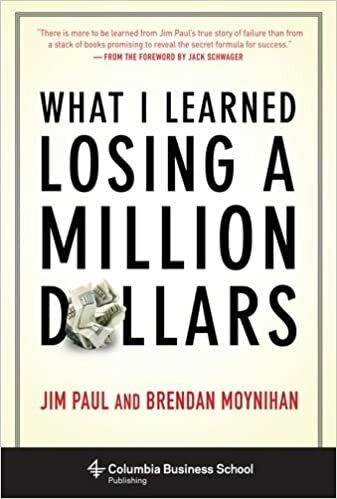 You can click this link: “What I Learned Losing a Million Dollars (Columbia Business School Publishing) ” to get redirected to the book on Amazon. If you make the purchase through this link, I will make a small commission that will help pay for the costs to run this site.